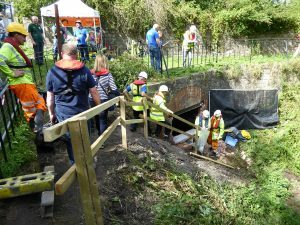 Find all the latest news from Killamarsh Heritage Society here! As you will have seen in the media, today marks 100 years since women were allowed to vote. Cate will talk about the key events in the journey towards the vote for women through the stories of some South Yorkshire women’s involvement in the struggle. The 6th of February 2018 marks the 100th anniversary of the Representation of the People Act 1918, giving women the right to vote for the first time. 2018 will celebrate this with a full year of events across the country. Come along and join us – we look forward to seeing you there. TICKETS ARE NOW SELLING. 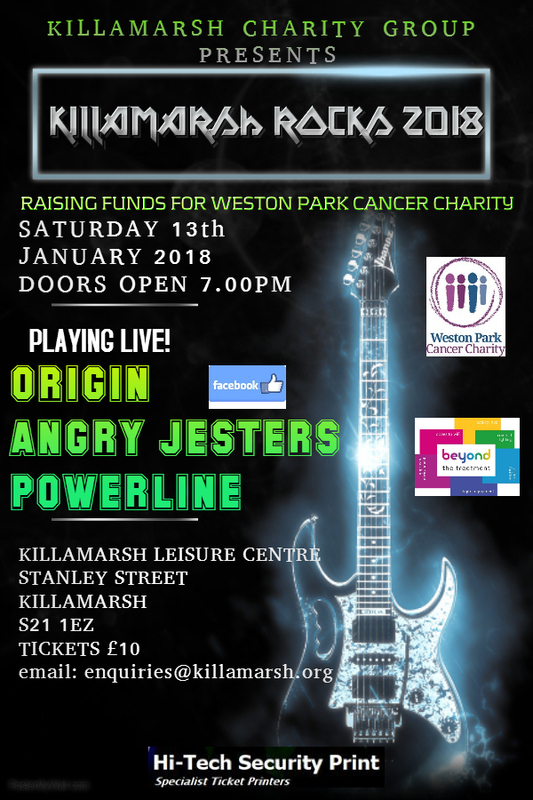 COME ALONG AND HELP US RAISE FUNDS FOR WESTON PARK CANCER CHARITY. 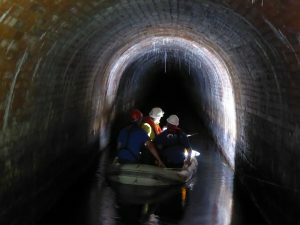 This slide show presentation takes the traveller along the Hope Valley Line through the Peak District on a 20 mile journey from Sheffield to Edale. Breathtaking scenery is passed which inspired Britain’s first National Park. Using recently taken slides, the show will include historical information, a few poetry readings and many laughs along the way! Stephen’s faithful German Shepherd dog WRAWBY will not be present at this show but will appear on quite a few pictures shown. From luscious landscapes and moorland views, to riverside walks and tea room trails, all four seasons will feature, with the aim and challenge of capturing the route in a scenic and artistic composition. Please take your seat and settle down for Picture Postcard Railway Rambles – The Hope Valley Line. 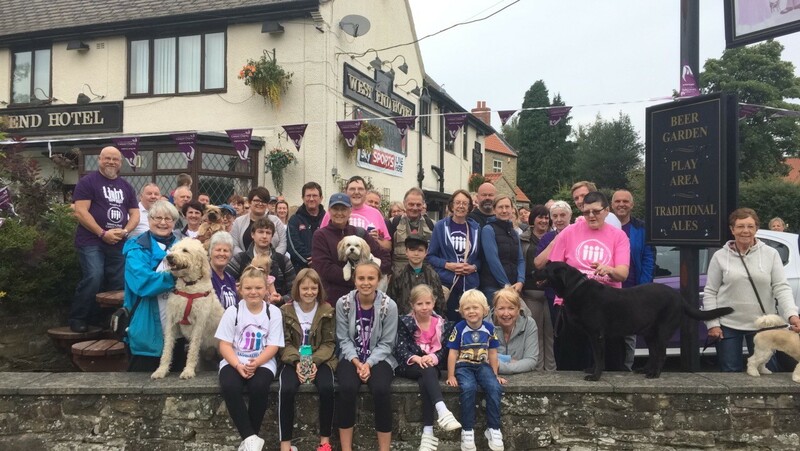 The members of Killamarsh Charity Group would like to thank everyone who came along and joined us on Barbara’s Walk 2017. 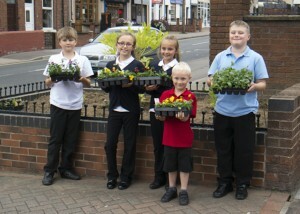 Nearly 80 people joined us and helped raise £881.36 for the Weston Park Cancer Charity. We were really pleased to see members of Barbara’s family again who joined us for the walk as they do every year. We really appreciate the support you give us for the walk and for the other events we hold during the year. Everyone really enjoyed themselves and the weather kept dry. Thank you so much to Ian and Dorothy and their staff at the West End pub who fed everyone after the walk. Look out for details of Barbara’s Walk 2018 and come along and join us. We know you will enjoy it and raise funds for the charity as well. Today we commemorate the centenary of the start of the battle known as Passchendaele. 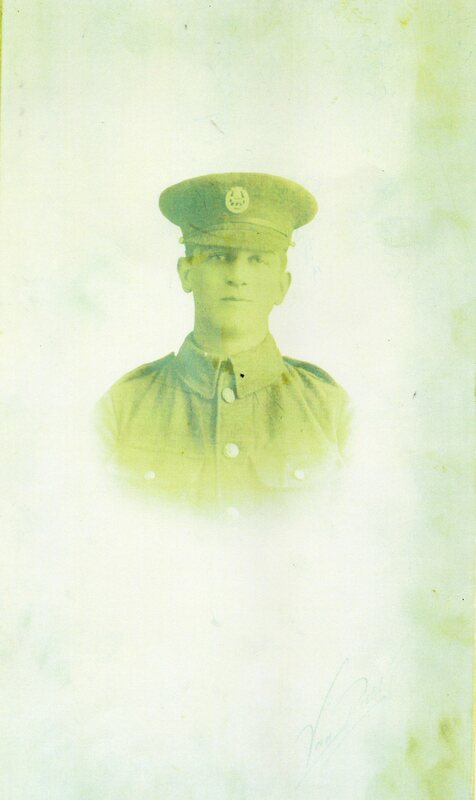 Mr Jack Walker has asked if we could include on the website details of his uncle Joe Walker who was killed in action on 17th September 1917 – 100 years next month. Born in Killamarsh in 1894, the son of Robert and Elizabeth Walker, Joe lived at Highmoor and later at Norwood. The 1911 census shows that he was employed as a ‘Colliery pony driver underground’, probably at Norwood pit. After the outbreak of war in 1914, Joe walked to Sheffield with his Killamarsh pals in order to ‘join up’. He was enlisted into the York and Lancaster regiment on 29th August 1914. Joe was trained at Pontefract, Yorkshire with the 3rd (reserve battalion) York and Lancs. Posted to France with the 7th Battalion York and Lancs. Invalided home wounded, injury described as “bullet wound right arm severe”. Returned to France posted to 8th Battalion York and Lancs. Joe survived the battle of the Somme, only to lose his life a year later in 1917. He is commemorated on the Tyne Cot memorial at Passchendaele, Belgium on panels 125 to 128 in the south rotunda of the memorial. Weston Park Cancer Charity exists to make a difference for people living with cancer by supporting cancer research and improving cancer treatment and care. So come along and join us and help raise funds for this very worthwhile charity. We have received an email from Roslyn Tucker. If anyone can give Roslyn any information please contact us by emailing enquiries@killamarsh.org or telephone 0114 2484812 and we will pass it on to her. 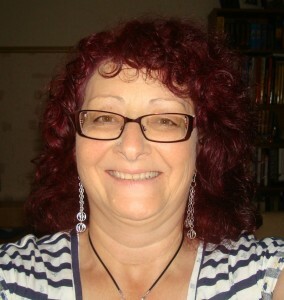 My Name is Roslyn Tucker and I live in Mount Maunganui, New Zealand. My Mother was Edith Newton, she was married to John Fredrick Newton for some years before being divorced. I think Mum lived on Jubilee Cresent in the 30s ,40s. Mum was born in Sheffield 1917 , her parents Joe and Elizabeth Vardy. In the late 40s Mum moved away from Killamarsh to make Sydney Australia her home.She married again and had 3 children, I’m the daughter. Mum lived for the last 60 years in Australia before her death in 2013, aged 95. I’m looking for some information on my Mum and her life in Killamarsh. The following memories have been sent to us by Eric Morris, who was brought up and lived in Killamarsh and now lives in Kent. We recently featured the article in the January issue of Doorsteppa. After recently watching the T.V. programme – The Last Miners – about the closure of Kellingley Colliery in Yorkshire, these are my thoughts prompted by the programme. 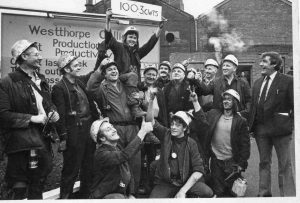 I worked at Westthorpe Colliery between 1967-1975 where I was an electrician – not a very good one – so I got out of the pit at the earliest opportunity. However, as the cliché goes – you can take the lad out of the pit – but not the pit out of the boy … He is still in there all these years later. Back to the programme – I watched it out of curiosity because it’s over forty years since I left Westthorpe – but it bought back so many memories – thoughts and feelings I had taken for granted for many years. The first point is that at Kellingley they were working in seams some 10-12 feet high – luxury! 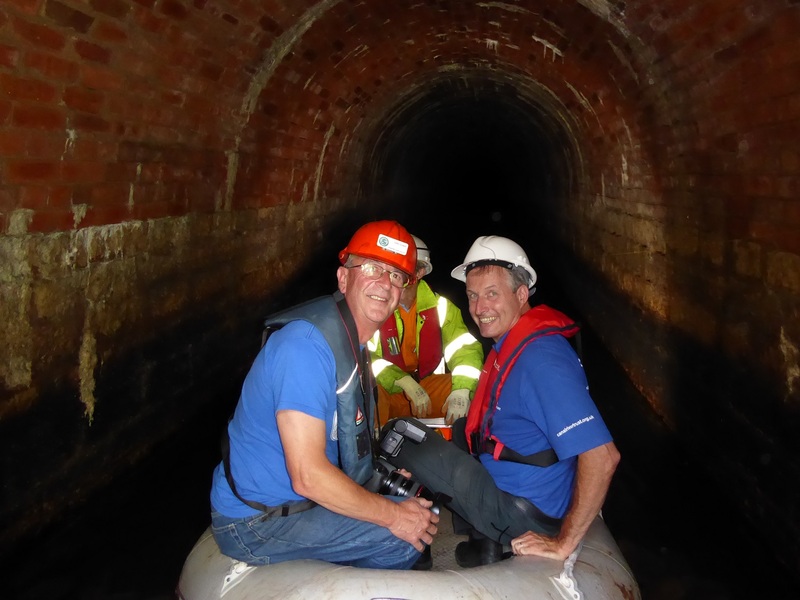 This is not to decry the Kellingley men – but it made me realise how hard it was to be working in the Flockton and Thorncliffe seams at best 5 feet high. Allowing for the face supports – this meant we crawled everywhere. The Thorncliiffe seam was also at about 45 degrees so we had to crawl backwards – slamming your battery and tools in someone’s face! Standing up was a luxury waiting in the main and tail gates. 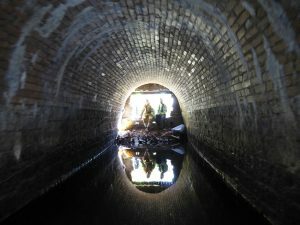 Having said that, as an electrician I came and went on the face – not spending much time there – so I reflect back in awe at people like Harry Tongue who worked shift after shift on the face – working in perpetual dust and soggy knee pads from the water that was there to suppress the dust! I remember Harry ranting to the head fitter about having a choice of pneumoconiosis or arthritic knees – some choice. Harry had a way of getting his point across – and he was right. Another point was that on the last shift I worked at Westthorpe I was waiting with some other colliers from the night shift when they struck up an impromptu tune and song – such fun, such camaraderie. 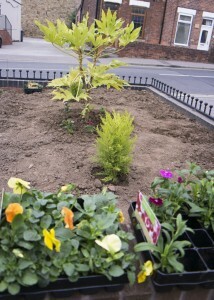 I was pleased to leave Westthorpe to go teacher training – such a contrast! But I did miss that camaraderie – but not the work. People ask me why I left – my reply is that it was dirty, dangerous and unhealthy work – and I was rubbish. Four good reasons [on their own] to leave. But the Kellingley programme reminded me of that teamwork – that camaraderie – and sense of fun – it took the programme to remind me how important Westthorpe was in my life. I like everyone to appreciate those special men who were miners at Westthorpe and High Moor – and everywhere. The Killamarsh Charity Group would like to thank everyone for their support and contributions to our third Time for Tea event which we held on Saturday 21st May to raise funds for the Weston Park Hospital Cancer Charity. The final figure raised has now been confirmed as £965.95. 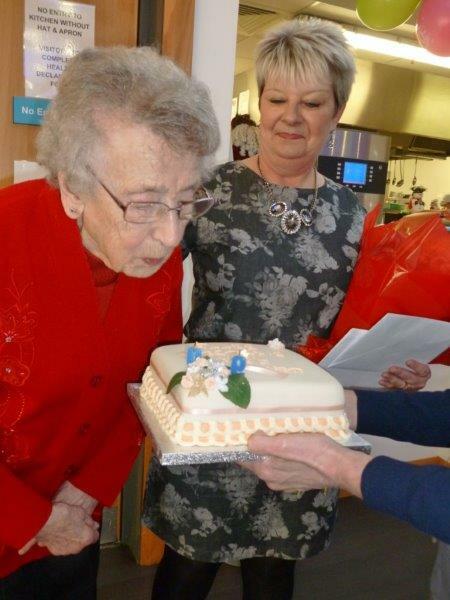 We would like to thank all those who baked and donated the wonderful cakes which everyone really enjoyed. We would also especially like to thank the many people who once again supported us by coming along for coffee and cake – we were overwhelmed by how many people came along and enjoyed the lovely atmosphere and contributed to our total. We know this is a charity local people wish to support, which was shown by the lady who wasn’t able to attend but donated a generous cheque, the lady who couldn’t stay for coffee but came to the door and gave us a generous donation, and the lady who spoke to one of our members the day before and very emotionally explained that she had lost her Mum to cancer recently and then came along to the event bringing with her a cake she had baked. We also know that many people had their own reasons for attending and supporting the event. We thank you all – you know who you are. Thank you all once again, and let’s do it all again next year. 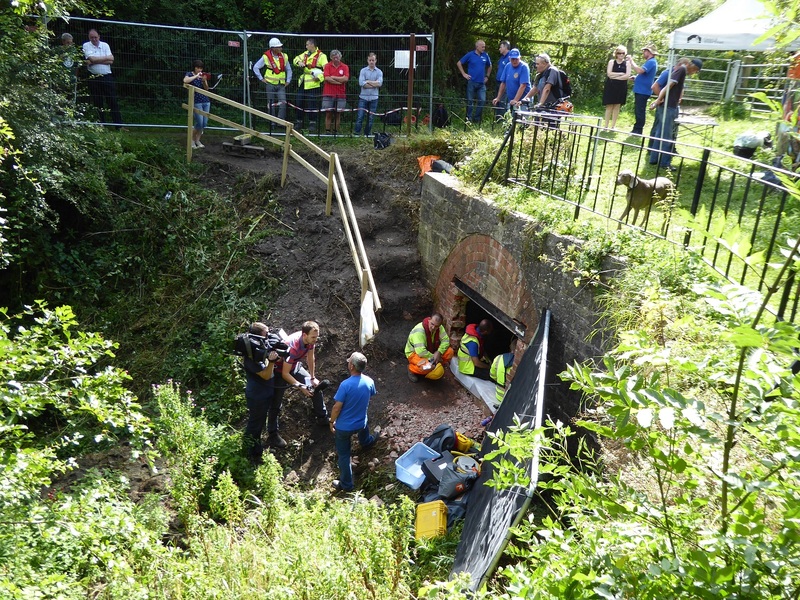 Until further notice, all meetings will be held at the Chesterfield Canal Trust’s ‘Hollingwood Hub’ which is roughly half a mile from the Roundhouse (nearby the site of the former Staveley Works GCR station). (Postcode S43 2PF for Sat Nav). Doors open at 19:00, presentations start at 19:30 and finish around 22:00. Entrance charges are £2.00 for BHESS members and £3.00 for non-members. Further information can be found on www.barrowhill.org or on the Barrow Hill facebook page.Contact can be made via beardspaul@aol.com (the organiser). 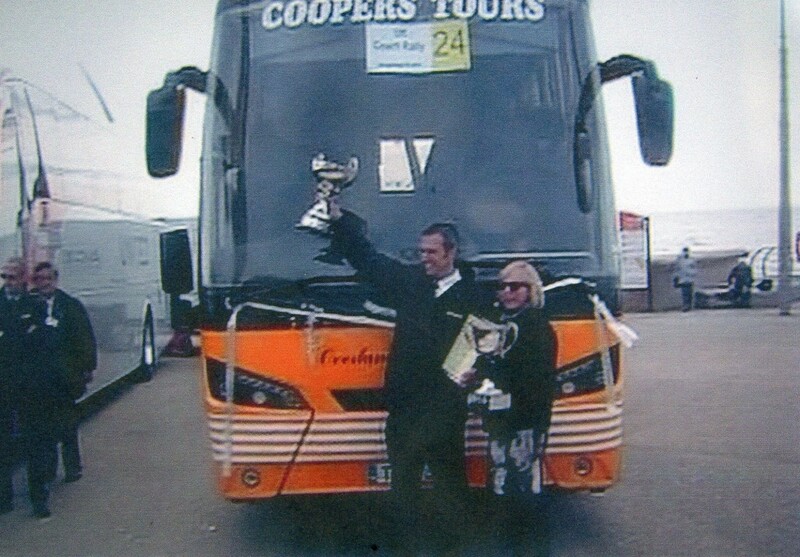 On Sunday 24th of April, Russell Cooper of Coopers Tours in Killamarsh won the title of ‘Coach Driver of the Year’ at the UK Coach Rally 2016 in Blackpool. We have been informed this afternoon of the death on Wednesday 13th of January 2016 at the age of 97 of Miss Joan Tomkin who was a teacher at Killamarsh Endowed School for many years. Many of you will remember Miss Tomkin and will have benefitted from her teaching. I am sure some of you would like to put your memories of your time in Miss Tomkin’s classes on our Memory Bank. I would like to enclose this photograph of my Mother, Betty Severn, who used to live on Rotherwood Road until moving to Northern Ireland in 1989. The photograph was taken a few days before her birthday when she was 90 on Christmas Day 2015. I would also like to send my greetings to anyone who can remember that 15 year old going to sea for approximately 28 years. Muriel Bolsover has sent us the following message. Can anyone respond to her please. 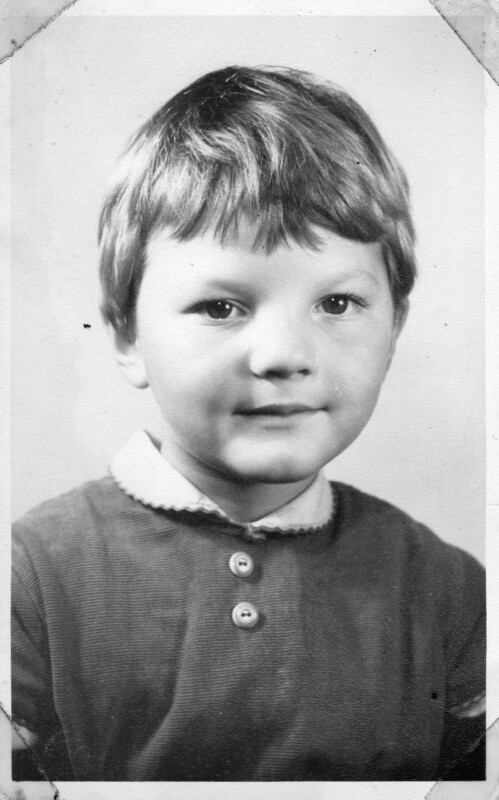 I was born in Killamarsh in 1938 and lived there until I went to college. With the celebrations for VE Day this weekend I realised that I cannot remember anything about it although I was 7 at the time ! I would liked to know if anyone has any memories of that day 70 years ago which they would share with me. The photograph below has been sent to us by Roger Monk. He is asking if anyone can tell him where the photograph was taken please. 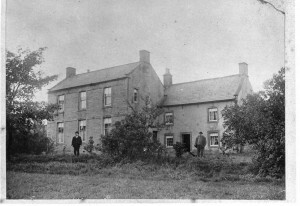 According to his father’s notes the photograph was taken on the 31st August 1957 and the location is shown as ‘Killamarsh’. 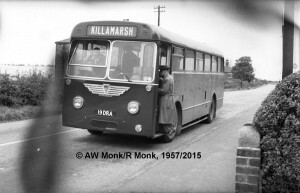 The notes also say that they travelled on this bus from Killamarsh to Sheffield. The gentleman in the bus doorway is George Bullock who was a bus enthusiast who lived in Sheffield and was a family friend. He was a bus photographer and may well have taken some bus photos in the area. If anyone can help, please email secretary@killamarsh.org and let us know. We have received some responses to our request for information on where the above photograph was taken. Christine Johnson (nee Bartholomew) says it was taken at the bus terminus where the bus to Sheffield turned around near the corner of Mansfield Road and Hut Lane at High Moor. Christine says this is where she caught the bus down to the village to catch the bus to the Grammar School at Halfway. Kath and Peter Hutchinson also say the photograph was taken at High Moor where the bus turned roung to go back to Sheffield. They say the photograph would have been taken before the destination board was changed to read Sheffield. 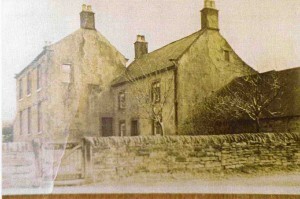 Neil Morris says the photograph was taken at High Moor outside number 60 Mansfield Road. The message below has been posted on our website. I am sure that many of you remember Stephen and definitely remember buying fish and chips from the shop on Sheffield Road. Let us have your memories. 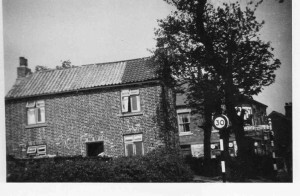 Above: Photograph of shop which was a butcher’s shop before it became Crofts Fish and Chips shop. In the last couple of years I have been researching my ancestry using the Ancestry.com web site and have traced the Crofts back to the 1700′s. But I have an important gap in my records, that continues to frustrate me. I can’t find how and when my grandfather became a shop keeper. How he was able to buy the shop coming from modest background. Or was the property perhaps obtained through his wife’s family (named Hill)? 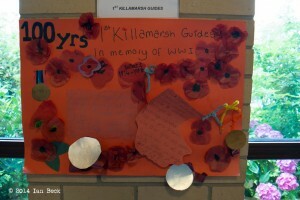 August the 4th 2014 was the Centenary of the start of World War I.
Killamarsh Heritage Society have been working with the three schools and also with Killamarsh cubs on work relating to this event. 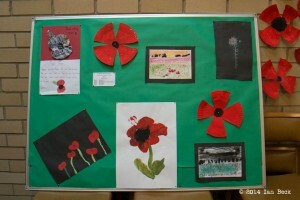 As part of our work with them the children produced artwork and written work which was exhibited in the Methodist Church in Killamarsh during July and up to the 4th of August. 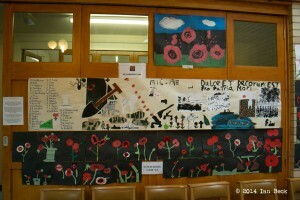 In addition to the artwork, the children of Class 4/5 W at Killamarsh Junior School gave us poems relating to the soldiers in World War I and also wrote notebooks about the War. 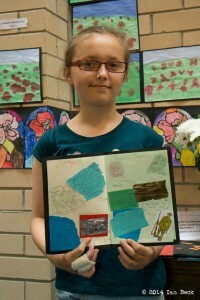 Class 5 at Killamarsh Junior School produced a diary written from the perspective of a soldier who fought in the war. Everyone who read the children’s work was really moved by it. 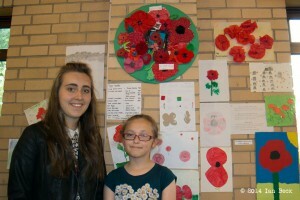 The children in the schools came in to see the exhibition as did many members of the public. 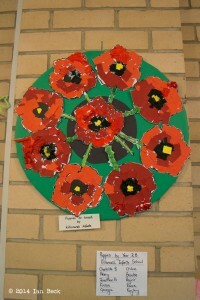 Those who came to see the exhibition were really impressed with the standard of work produced by the children of the village. 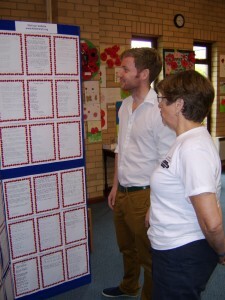 Above: Janet Jackson (member of Killamarsh Heritage Society) with Lee Rowley, the Conservative Candidate for North East Derbyshire who visited the exhibition. 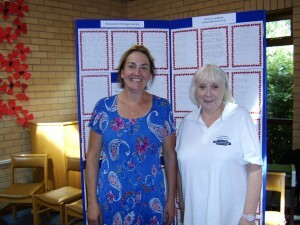 We would like to thank all those who have so far recorded their memories as part of our All Our Stories project. This project is still ongoing and we would be pleased if anyone who would like to take part would contact us either by emailing secretary@killamarsh.org or telephone 0114 2484812. As many of you know Killamarsh Heritage Society have appointed a small group of interested people who are working very hard on a project to put a monument on Green Lane to mark the spot where Westthorpe Colliery was for many years, and we are progressing with this. We are very disappointed to be told that negative messages have been put on the Voice Facebook site by two Killamarsh people to the effect of ‘Why bother ….no one recognises Killamarsh as a mining village’. We would have thought that both of these people would have supported our project. A large part of the history and heritage of Killamarsh is as a mining village, and to many people it will always be thought of as a mining village. The pits in Killamarsh were the life blood of the village for many, many years and hundreds of men earned their living from working in them. 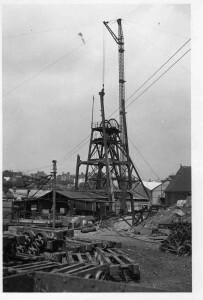 Men also lost their lives working in the Killamarsh pits. The pits were important to the community and to the social lives of those in the village. Many of us had grandfathers, fathers, husbands, brothers and sons working in the Killamarsh pits. To brush this aside with ‘Why bother….no one recognises Killamarsh as a mining village’ is absolutely disgraceful, especially from those who made the comments. The fact that the pits are no longer there is exactly why we need the monument, to record our heritage and history. The two people who have made the comments obviously totally miss the point we are trying to make. In answer to the question “Why not High Moor”? 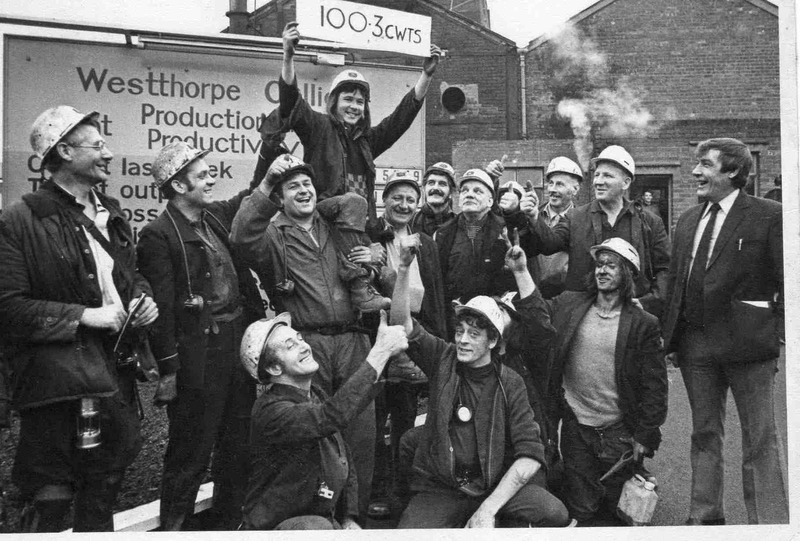 We have chosen Westthorpe Colliery in 2014 because the pit closed in 1984 – which is 30 years ago this year. We therefore feel that this year is an appropriate year to erect a monument to Westthorpe Colliery. Our intention is to look to putting a monument to High Moor Colliery in the future. We know that many people who follow our website, both in Killamarsh, in other parts of the country and overseas will relate to us being a mining village and had members of their family working in the pits. We always receive an enormous amount of interest in the photographs and information about the pits we had in Killamarsh. We would, therefore, be pleased to receive your comments and views on the issue (either supportive or otherwise) on our Memory Bank please. You will see that we have congratulated Angie Dornan on passing the first year of her nursing degree (see under the Congratulations tab). This is despite having kidney dialysis for eight years followed by a kidney transplant. Angie has passed the following message to us which I thought we would include as it is very encouraging and as you will see she is willing to speak to anyone who is going through the same thing and would like her support. If you would like speak to Angie let us know via the website or our email address. Someone said to me when I started on dialyse that “you should dialyse to live, not live to dialyse.” I kept that with me through the whole 8 years of dialysis, especially as by the 7th year I wholly believed I would never get a transplant. I did a university course (being on dialysis made sure I had plenty of study time! ), and we made sure we went on holiday every year. There are plenty of places in the UK that offer dialysis away from home. I got my transplant after 8 years and I met someone recently who dialysed for 11 years before she got hers; so there is still hope if you are on dialysis and have been for a while. When I got my transplant, I decided to do everything I had always wanted to do as I felt I had been given a second chance; so I applied for my nursing degree – first year passed successfully!! – and a motorbike! I had lots of support from my friends and family to get through the whole thing. If you haven’t got that support and would like someone to talk to, drop Pat a line . She knows how to get in touch with me, and I’ll give you a ring. We now have a CONGRATULATIONS Section on our website. Would you like to congratulate someone in Killamarsh on a special event or an achievement. This could be gaining a Degree or passing exams or getting that special job. Or perhaps they have a special birthday, wedding or anniversary. If there is anything you would like to include please email the details to secretary@killamarsh.org or send to Killamarsh Heritage Society, 15 Manor Road, Killamarsh, S21 1BU. Include a photograph if you can. You will have heard in the News bulletins on T.V. and read in the newspapers that the Government have announced plans for several events to be held between 2014 and 2018 to mark the centenary of World War I (the War to end all Wars). We now have a section on our website dedicated to World War I and invite you send in information and photographs that we could include. We have names on the War Memorial in the village of those who lost their lives in World War I. Is anyone whose name is mentioned a member of your family? Do you have a story that has been passed down through the family? Do you have any photographs we could include. We are currently looking into the history of the pits in Killamarsh and we are collecting information about Norwood Colliery (which opened in 1865 and closed in 1943), Westthorpe Colliery (which opened in 1923 and closed in 1986) and High Moor Colliery (which opened in 1957 and closed in 1992). Did you work at any of the pits? Do you have any information/memories about the pits you could pass on to us? Do you have any photographs which you would be happy to donate or loan to us to take copies – these could be scenes, people at work etc. Do you have any memorabilia from any of the pits which you would be happy to donate to us – our aim is to put together a collection of items which reflect the history of the pits. 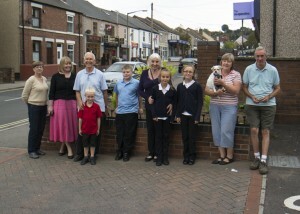 There are still a lot of people in Killamarsh who worked at the pits, or whose parents and grandparents worked there. Help us keep the history and heritage alive for future generations. If you have any of the above, or would like to help with our project, please let us know by emailing secretary@killamarsh.org or telephone 0114 2484812. We have recently added to the History section of the website an article about Killamarsh Forge which was forwarded to us by Killamash resident John Jennings. We have now added to the All Our Stories section an article by Jean Shipp and her sisters about living in the Lock Cottage at Norwood during their childhood. 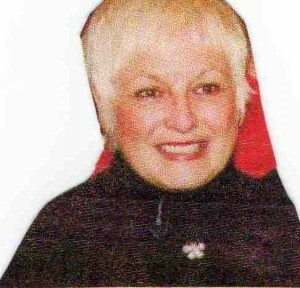 Jean now lives in Ollerton. Ron Marshall is keeping us supplied with the stories of his childhood on Station Road near to the Killamarsh Central station and these also appear in the All Our Stories section. Ron Gee, who lives in Sidcup in Kent, but was evacuated to Killamarsh during World War II, has sent us an article about the buses in the area at that time, which we have featured on our All Our Stories section. We would like to thank Jean, Ron, John and Ron for their articles and for allowing us to include them on the website. A lot of our supporters are putting their memories and comments on our Memory Bank and underneath the photographs in the Photo Gallery and these are really appreciated. 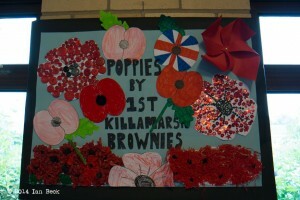 We are delighted to see that Killamarsh people who have moved to other parts of the UK and also several overseas countries have joined us and are putting messages on our website. 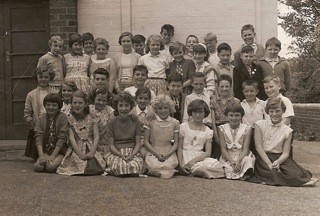 However, if anyone would like to put together a longer article about their memories of growing up in Killamarsh, be it your time at school, the games you played, how you spent your summer holidays, did you go away on holiday and if so where to, what did you like or dislike about living in Killamarsh when you were young. 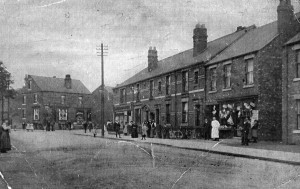 Or you may wish to let us know what Killamarsh was like as you got older, did you work in the viillage, or did you travel to work elsewhere, what entertainment was available, what type of shops did Killamarsh have, what was the medial care like, what was the community spirit like. Or you may think of other things you remember which you could tell us about. Did you work at Westthorpe Colliery or High Moor Colliery. They are no longer there but we should not just allow them to disappear from memory. Do you feel that Killamarsh has changed and if so for the better or worse. We would like to gather as many memories as we can for our All Our Stories project which will be kept for future generations so that the history and heritage of the village is not lost. We would like to hear from any age group – even the children/teenagers now will have memories and in years to come their memories will be our history. Perhaps you could get together a small group of great grand parent, grand parent, and grandchildren so that they can exchange memories. We will also be recording people’s memories to be kept digitally. We would be delighted to hear from you if you would like to take part in this project. You can record your memories by writing them down for us, or if you live locally we can arrange to record you on video or on audio. We do hope you will be able to help us with this project as we feel it is important to preserve and record the history and heritage of the village for future generations. Don’t let our history and heritage be lost. If you, or any of your family and friends would like to be involved please email us on secretary@killamarsh.org or telephone 0114 2484812. Not everyone has access to the internet, especially older people. If you know anyone who doesn’t have a computer who would like to help us, please tell them about our project and get them to contact us. And keep all your messages and memories coming for inclusion on the website. My name is Denis Fox the grandson of Dennis Fox age 14 on the 1881 census living in Eckington, father Benjamin. I have the family all on the 1881 census, I assume Benjamins wife Sarah must have died about 1880. My grandfather came to Kingstone (Barnsley) and married a lady called Hardstaff who had 3 children with that name. They had 3 more children 2 girls and 1 boy, my father. I have a contact with Liz Hallis but would appreciate any information you may have on the family. We now have an All Our Stories section on our website. We already have some entries for this which I am sure you will find interesting. If anyone would like to include their stories please send them to enquiries@killamarsh.org (with a photograph if possible). Angela Bold is researching her family tree and is asking for information with a Killamarsh connection. She says she has found out that her famility originated from Killamarsh. The information she has is that they ran a Public House and also a Butchers on Shepherd Lane which is now Bridge Street. Their names were George Walker and his wife Mary Walker and their children Frank, Gweneline and George. 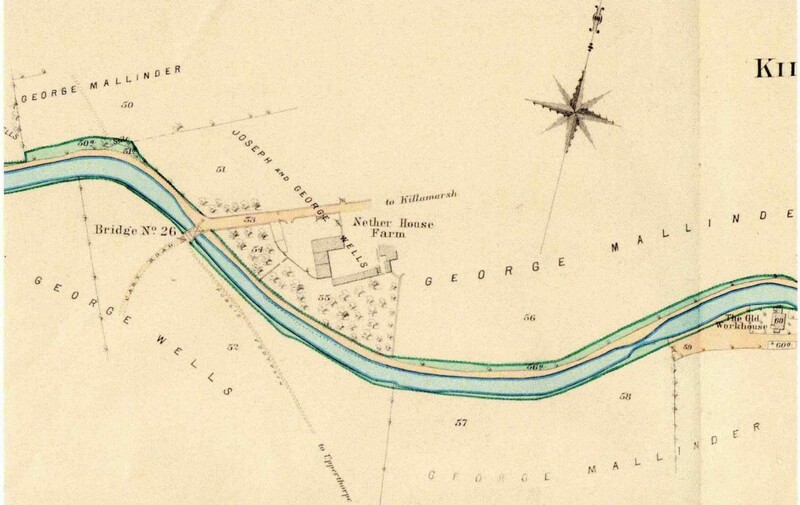 In 1901 George Walker was then married to Annie Eleanor Walker and had three daughters Harriet, Eleanor and Frances and they lived at 11 Bridge Stree, Walkers Lane, Killamarsh. They later moved to the Hope Valley and ran the Blacksmith’s Arms in Hope. Can anyone remember this family and the name of the public house they used to run on Shepherd Lane/Bridge Street. Glen Rigby of Vancouver B.C., Canada is looking to contact relatives of his Grandmother. Below is the information that Glen has given us. Hopefully someone will be able to help him. 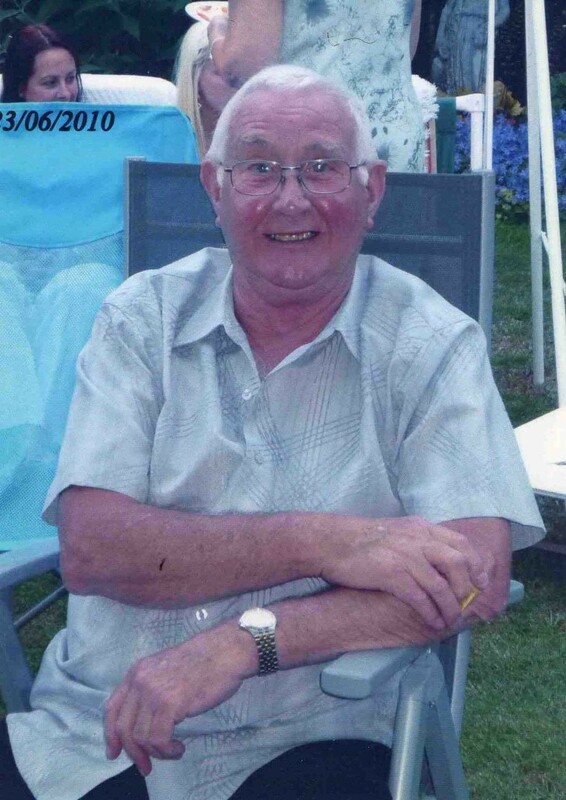 If you have any information please email secretary@killamarsh.org and I will put you in touch with him. My name is Glen Rigby and I am trying to connect with relatives of my grandmother on my father’s side of the family. Her maiden name was Florence Fox. She was one of the 8 offspring of Benjamin Fox and Sarah Stocks. She was born on Green Lane, Killamarsh in 1877 and died in Vancouver B.C., Canada in March 1960. My father, Arthur Rigby, was also born on Green Lane. I have also managed to trace my grandmother’s sister, Frances (Fanny) Fox, through her marriage to Joseph Batty and on further to her emigration to Perth, Australia. 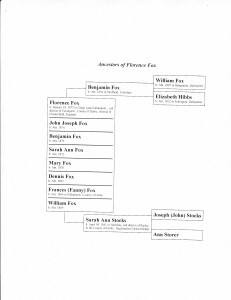 I would specifically be wanting to get in touch with any descendants of John Joseph Fox, Benjamin Fox, Sarah Ann Fox, Dennis Fox and William Fox. It could also be possible that some of the Batty family would have some information on the Fox family. I am including below two charts, one for Florence and one for her sister, Frances. I know some of you already do this, but I have received an email from an ‘old Killamarshian’ who no longer lives in the village asking if it would be possible for any ladies who submit entries on the Memory Bank, Photo Gallery or Forum to include their maiden name as when people read the entries it would be good for them to identify if the message has been left by someone they know, for example went to school with, as if they only give their married names they are not necessarily identifiable.